Leading a nationwide trend in community concern for habitat loss, Keowee Key has been officially designated an NWF Community Wildlife Habitat by the National Wildlife Federation (NWF). A Community Wildlife Habitat project creates multiple habitat areas in backyards, schoolyards, corporate properties, community gardens, parkland and other spaces. Keowee Key is the 112th community in the country and the 5th community in South Carolina to receive this honor. The other certified communities in SC are: Callawassie Island & Fripp Island in Beaufort County, Kiawah Island in Charleston County, and Briarcliffe Acres in Myrtle Beach. NWF commends the dedicated residents of Keowee Key and the Lake and Hills Garden Club team for their wildlife conservation efforts and for coming together for a common purpose - to create a community where people and wildlife can flourish. 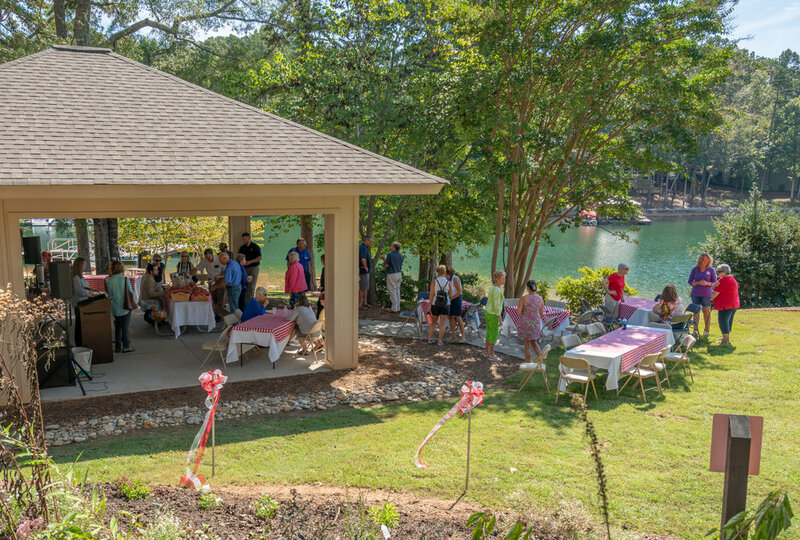 At a time when communities are faced with the problems of losing habitat to development, Keowee Key stands out as a model for other communities to emulate. Keowee Key certified 88 individual – owned properties and 4 common areas to complete the required points for certification. “We are so proud to be the only certified community in the Upstate of South Carolina! 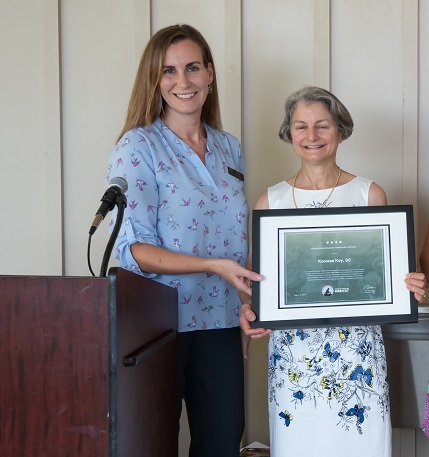 This award shows the dedication of individuals in our community to conservation and preservation of their natural surroundings,” said Alice Guzick, Keowee Key Garden Club member and community property owner. A Community Wildlife Habitat benefits the entire community of plants, wildlife, and people through the creation of sustainable landscapes that require little or no pesticides, fertilizers, and excess watering. These landscapes help keep water and air resources clean. They are healthier for people and the environment, and they are less resource-dependent than conventional landscapes. Habitat landscapes can serve to beautify our urban areas and give residents pride in their neighborhoods. Sara Green, SCWF Director of Education, presents the certificate to Alice Guzick who spearheaded the application for the community. Click here for more information on Gardening for Wildlife and Certified Wildlife Habitats. Alice Guzick with members of the Garden Club. The National Wildlife Federation sent NWF Field Guide books for each member of the project’s Habitat Team. Newer PostSCWF To Partner With Recreational Anglers to Reduce Fish Mortality.